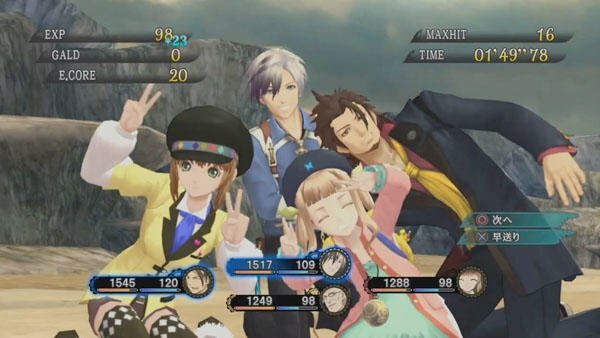 PlayStation Store throwing a Fantasy Flash Sale, Tales of Xillia, Dragon's Dogma, and more! This weekend, Sony is slashing the prices of all things fantasy, except strangely, Final Fantasy. I mean, it has the word in the title, Sony! Never mind that though. There are plenty of other good choices, both movies and games alike, for those who need a dose of escapism and elf people. Let's check out the list below. I think it goes without saying that the best value here are the Tales of Xillia games. I have not played them, but they have plenty of fans who will swear by them at full price. $9 and $14 is like you're stealing from Bandai Namco, even more so than if you emulated them. Tales of Heart R is also there for PS Vita owners, but not as many people like to talk about that one. Following that, you can get your JRPG fix through Dragon's Dogma: Dark Arisen, the standalone expansion of Capcom's fantasy sleeper hit. I think I might prefer this smaller one since you don't have to deal with Dragon's Dogma's cumbersome world as much. New Little King's Story is also a delightful little PS Vita gem that fans have a lot of affection for. You can also check out the mechanically fabulous Valkyria Chronicles 2, but don't expect the same gorgeous storytelling and visuals of the first game. It's more like a generic Saturday morning high school anime rather than the Ghibli quality SEGA nailed with the PlayStation 3 predecessor. Brothers: A Tale of Two Sons is an indie favorite. What would a fantasy sale be without a Dungeons & Dragons game? Dungeons & Dragons: Chronicles of Mystara is hardly an RPG experience, but Capcom's D port of the arcade brawler is one of the best and most liberal interpretations of the franchise.